An attractive, fresh and stylish New Zealand Rosé, full of crushed strawberries and a dusting of icing sugar. Orange blossom, honey dew and sea breeze aromas mingle on the nose. Elegant and well-balanced, this wine shows undertones of tangelo, oyster shell, subtle spice and macadamia notes. The finish is dry and silky with a lick of salt. 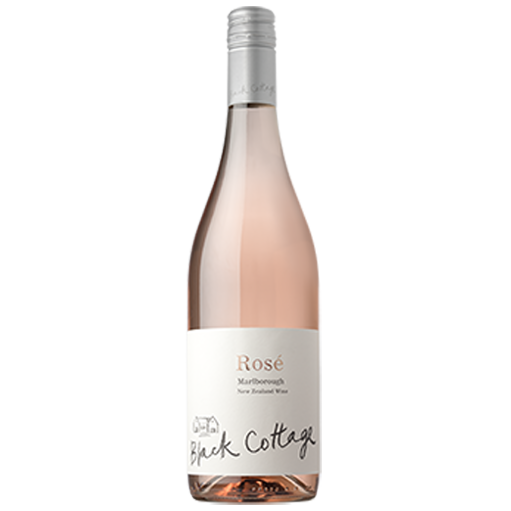 Black Cottage Rosé was inspired by David’s long stint working in Corsica and the South of France crafting fresh, crisp, dry, salmon pink rosé. Warm nights led to low acids and an early harvest but intense and delicious fruit flavours. Treated very much as a white wine in the cellar, this wine had the added benefit of 8 weeks on light yest lees, increasing the texture and mineral notes.